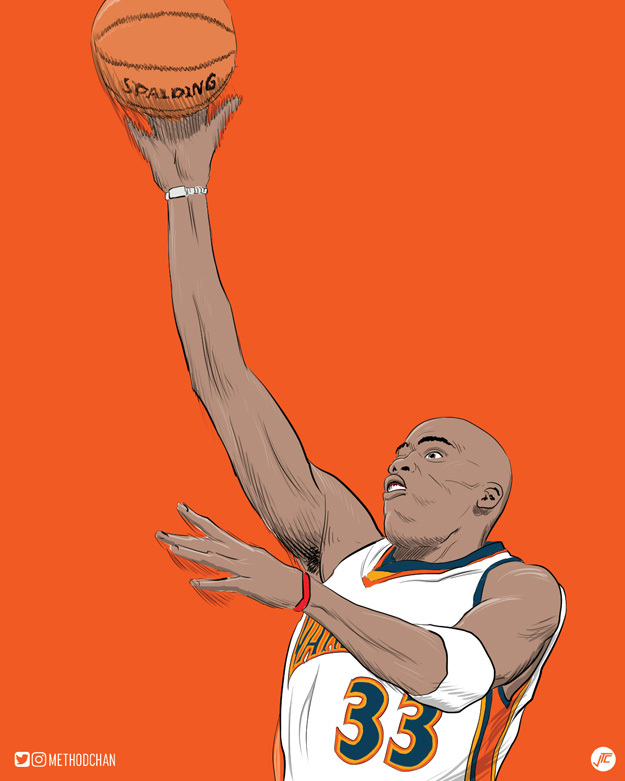 This week’s #WarriorsWednesday post is a former favorite Dubs player of mine, Antawn Jamison! When the Dubs drafted Antawn, the dark period of the Sprewell / Carlesimo choking fiasco was still lingering. But I remember feeling like their was a ray of hope with the College Player of the Year coming to The Bay. Yes, I remember he was traded on draft night for Vince Carter. Nevertheless, I was happy the Warriors got him and I loved watching him put up that patented flip shot over defenders. Never forget that 51 pt duel against Kobe in an overtime win – which was a back-to-back 50 pt performance for Antawn!